The LPL high power LED Pendant is designed to use high power (10W- 30W) white COB LED array which can deliver longer life, high efficiency. 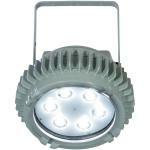 The lighting system power is 60W - 150W to replace 70W-250W MH luminaries perfectly. Copper free aluminum housing, heat - and impactresistant glass globe, Ex d protection design, IP66 rate and innovated LED designed in, all the elements enhance the safety, energy efficiency and long life for this “Green” LED lighting. The LPL LED Pendant is suitable for Zone 1 & Zone 2 Exgas and Zone 21/22 Ex-dust hazardous area, such as heavy industrial, chemical, petrochemical or pharmaceutical facilities, platforms, shipyard, electric power, loading docks, wastewater treatment, paper mill. Please insert your e-mail in order to subscribe to our newsletter.